I have over 5,000 photos that have been synced to Facebook over time. They were all downloaded onto my phone and now my phone's memory is getting all used up. How can I transfer photos to my computer from the Moments app on my phone? If you wish to learn how to transfer pictures from phone to computer, then you have come to the right place. We all know how important our photos are. In order to keep them safe, we transfer it to our PC or Mac in a timely manner. If you are finding it hard to transfer photos from your iPhone or Android device to your computer, then don’t worry. We have provided three easy and smart solutions to teach you how to transfer pictures from phone to computer in a trouble-free manner. One of the easiest ways to transfer photos from your phone to computer is by manually transferring the data files. This technique works for almost every kind of smartphone (iPhone, Android device, iPad, iPod Touch and more). 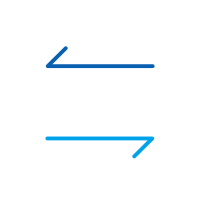 Though, this might not be the most secure option as during the transfer, a malware can also travel from one device to another and corrupt your phone or computer. If you wish to learn how to transfer pictures from phone to computer, then start by connecting your device to the system using USB/lightning cable. 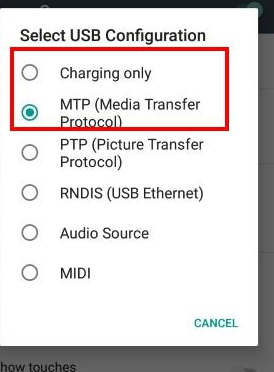 While connecting your device, make sure that you have selected media transfer option (and not charging only). As soon as your device would be connected to the system, it will automatically be recognized. You will get a pop-up message like this. Simply click on the “Import pictures and videos” option to start the transfer process. If you have already transferred the files once or are using a latest Windows version, then chances are that you might get a pop-up message like this. From here, you can either import all the items or review them beforehand as well. If you want to transfer pictures from phone to computer without connecting both the devices through wires, then consider Dropbox as an ideal solution. 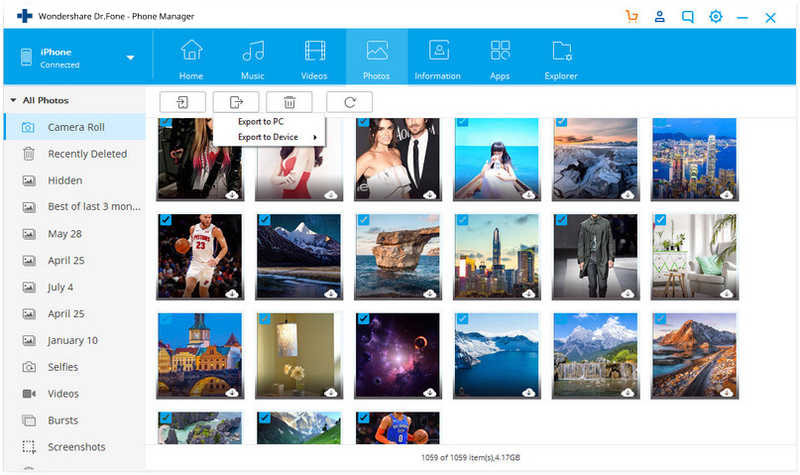 With it, you can upload your photos from phone to the Dropbox cloud and later download it on your system. This will let you transfer your data from one device to another wirelessly while maintaining its backup at the same time. Though this would consume your data (of WiFi or internet plan) and it might not be as speedy as the previous solution. To learn how to transfer pictures from phone to computer via Dropbox, perform these steps. Install Dropbox on your phone. You can download it from Play Store, App Store, or its dedicated website. 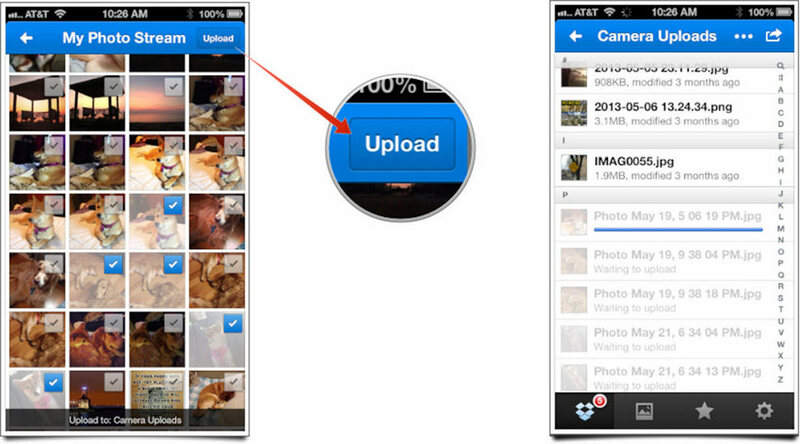 To upload pictures, launch Dropbox on your phone. Now, create a new folder and tap on the Upload icon. This will open your device’s storage. You can simply select the files you wish to upload to the cloud. Wait for a while as your selected photos will be uploaded to Dropbox. 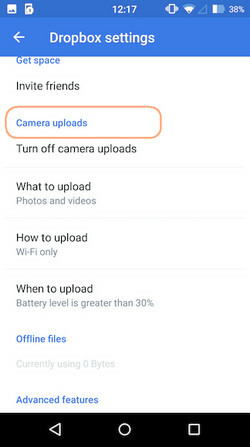 You can also turn on the option of auto-sync, by visiting Dropbox settings and selecting the Turn on “Camera Uploads” option. After uploading pictures to Dropbox from your phone, log-in to its desktop website using the same credentials. Go to the folder and select the images you wish to save. Simply click on the “Download” button to save these pictures to your computer. Later, you can move these pictures to your local storage as per your needs. dr.fone - Transfer (iOS) provides an extremely safe and reliable way to transfer pictures from your phone to computer. 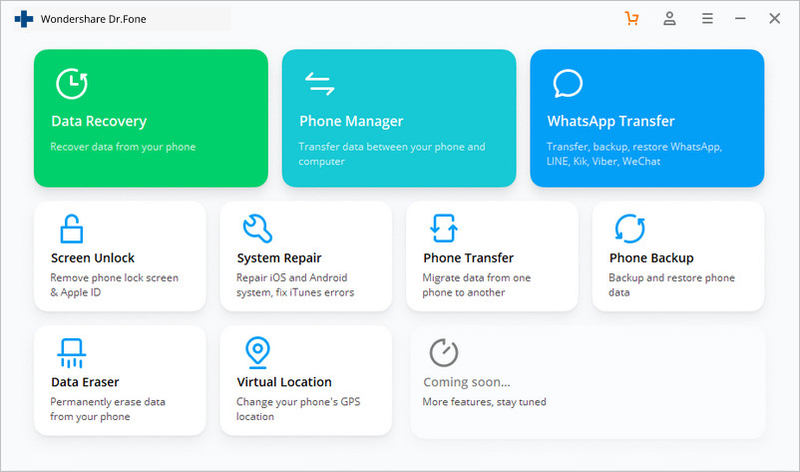 Since it is compatible with almost every iOS and Android device (including iOS 11 and Android 8.0), it provides a one-stop solution to manage your data. With it, you can easily transfer your pictures from one device to another or can even perform a phone-to-phone transfer. Compatible with every leading version of Mac and Windows, dr.fone - Transfer (iOS) provides an easy to use interface that can transfer pictures from phone to computer in one click. We have provided two solutions for you to learn how to transfer pictures from phone to computer using dr.fone - Transfer (iOS). If you wish to keep your photos safe, then you can simply take a complete backup of your gallery/camera roll on your computer. It can be done in the following way. 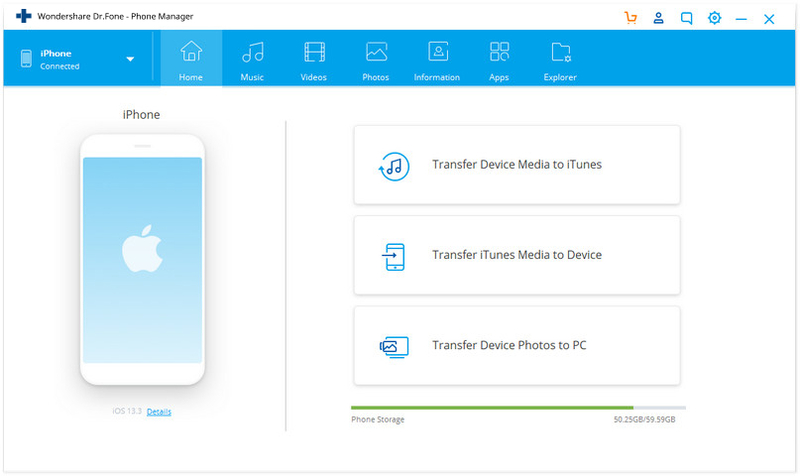 This file transfer tool supports both iPhone and Android devices. Step 1. Connect your device to the system. Launch dr.fone on your system and choose Transfer from all functions. Click on the option of “Transfer Device Photos to PC” or "Transfer Device Photos to Mac". Step 2. A new browser window will open. Just provide the location where you wish to save the backup. Click on the “OK” button to commence it. A new browser window will be opened. Just provide the destination where you want to save your backup and click on the “Ok” button. 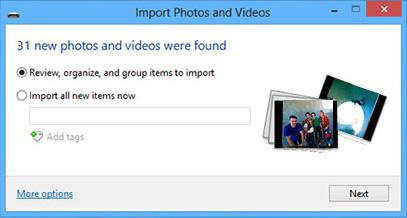 This will initiate the backup and transfer your photos to the provided location. Step 1. Connect your device to the system and launch dr.fone. Visit the “Photos” section to commence the process. Step 2. From here, you can see that your pictures are divided into different albums. Just select the desired photos and click on the “Export” button. From here, select the “Export to PC” option. Step 3. You can also simply select the images, right-click, and choose the option of “Export to PC”. You can also transfer an entire album or all the photos of the same type (since these photos are segregated according to their type in the left panel.) To move an entire section, just select and right-click it. Now, click on the “Export to PC” option and follow the same drill. Who knew that moving photos from phone to computer could be so easy? With dr.fone, you can simply move your data from one device to another in a seamless manner. Now when you know how to transfer pictures from phone to computer, you can easily manage your data. This file transfer tool could also help you transfer music from phone to computer fast. Explore various other features provide by dr.fone and make the most out of your device. 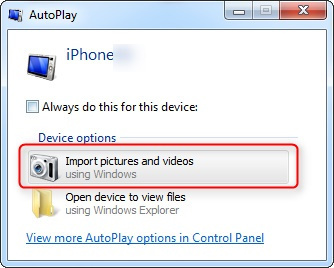 How to transfer contacts from PC to iPhone? This article tell you how to copy contacts from PC to iPhone with or without iTunes. Learn how to transfer music from iPhone to iTunes in a simple way right here. We have listed a step by step approach to transfer songs from iPhone to iTunes. When putting music to an iPhone from a computer,you might worry about erasing data on your iPhone.This guide shows how to do it without losing iPhone data. CopyTrans for Mac allows users to copy music, playlists, photos, and videos from iPod, iPhone, and iPad to iTunes, Mac, and vice versa. Follow this guide to backup and transfer iPhone photos to external flash drive easily, so that you can release the storage on iPhone.